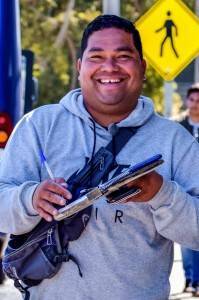 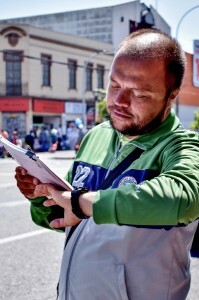 A sapo (toad in Spanish) is the person in charge of announcing aloud the time interval between buses of the same line for drivers to maintain a minimum distance between each other and optimize passenger picking. 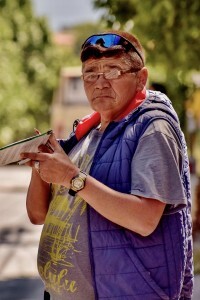 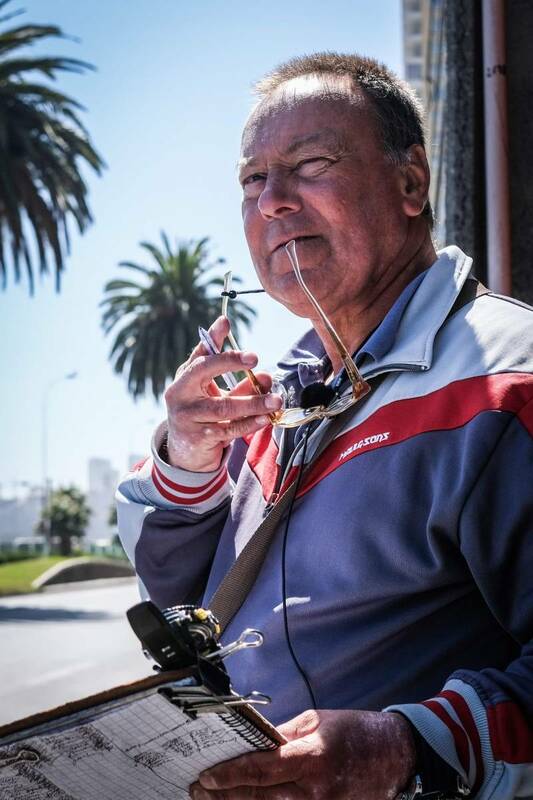 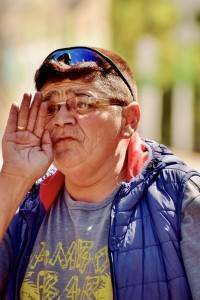 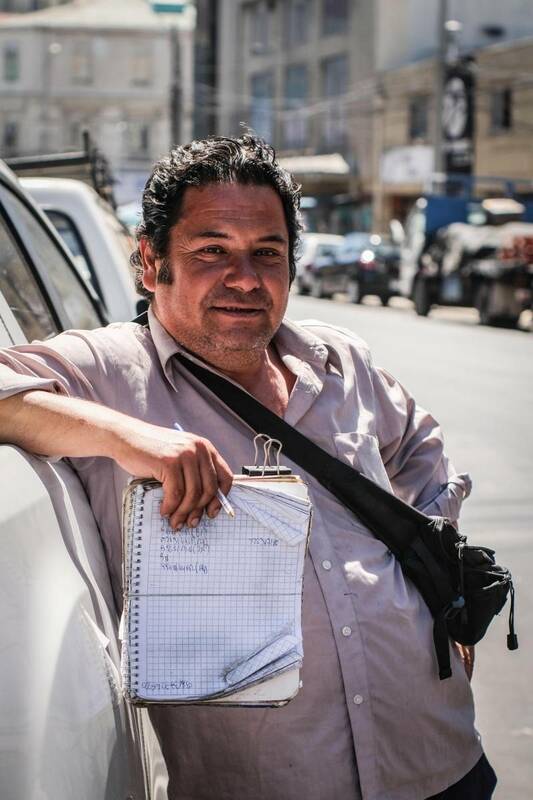 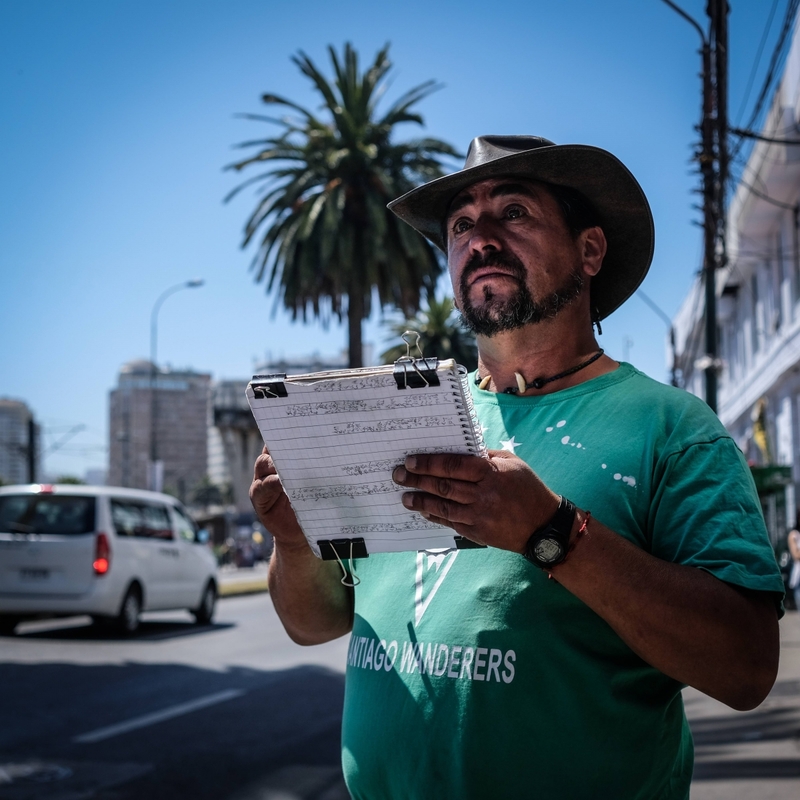 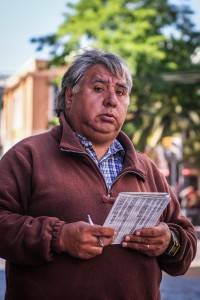 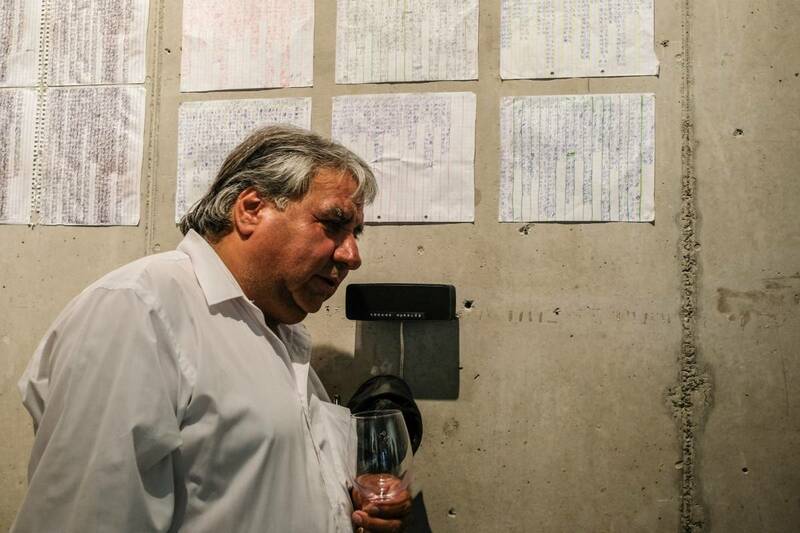 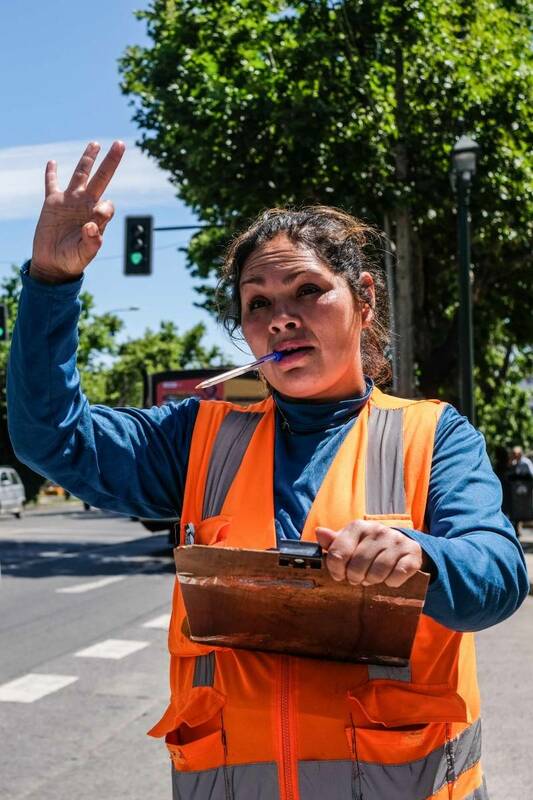 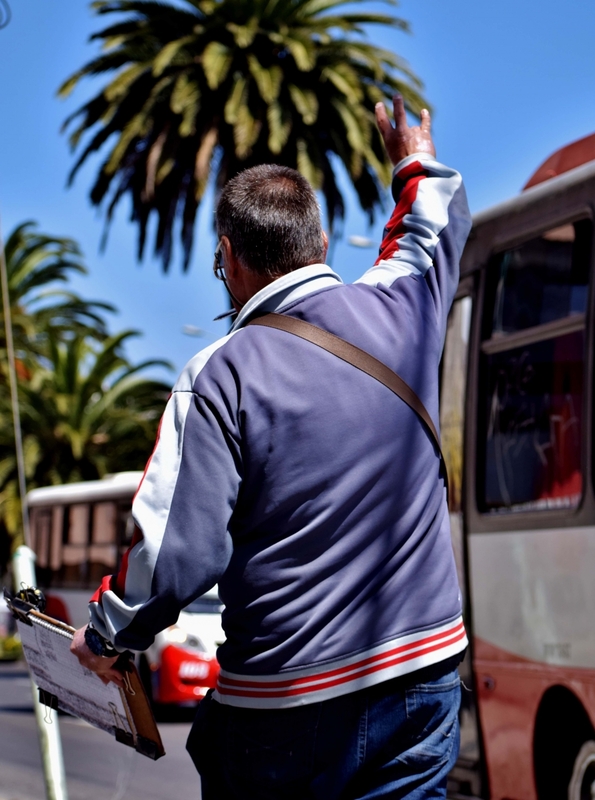 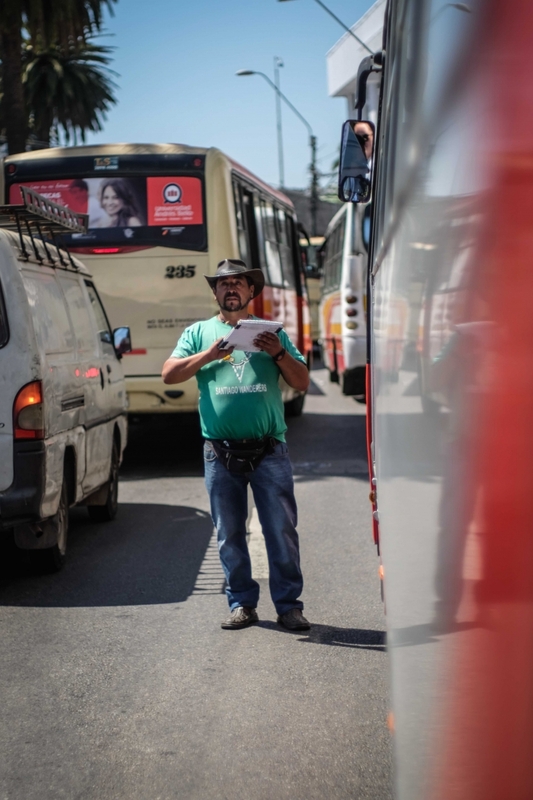 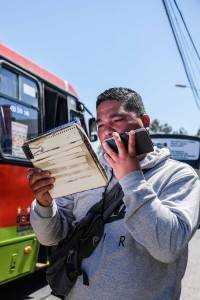 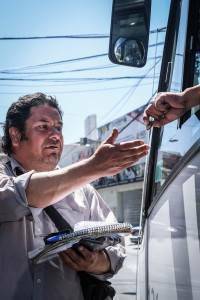 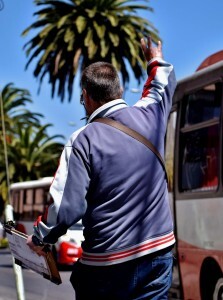 They are a typical bus-stop character from Chile that keeps a notebook to analyze and keep track of the traffic flow. 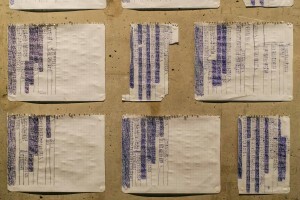 Their shouts become a reference point, a place’s soundmark. 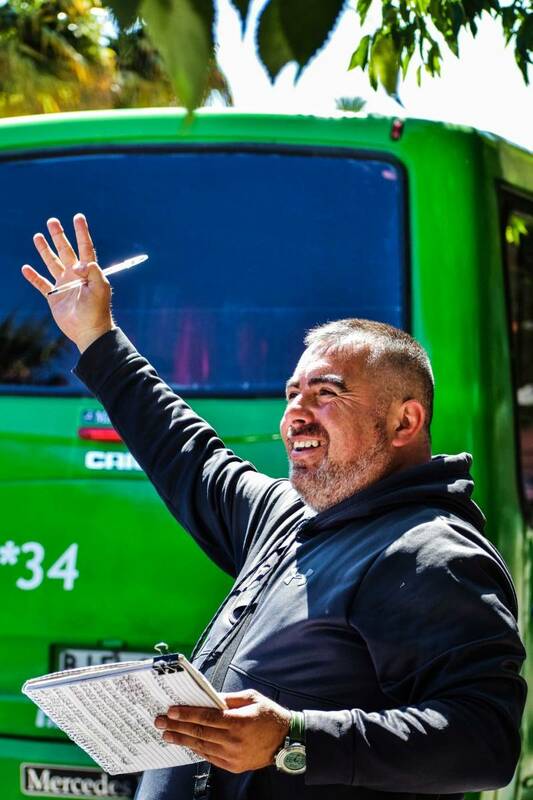 Sapos have disappeared from Chile’s big cities, but they still have a permanent presence in Valparaíso, resisting against globalized and computerized systems. 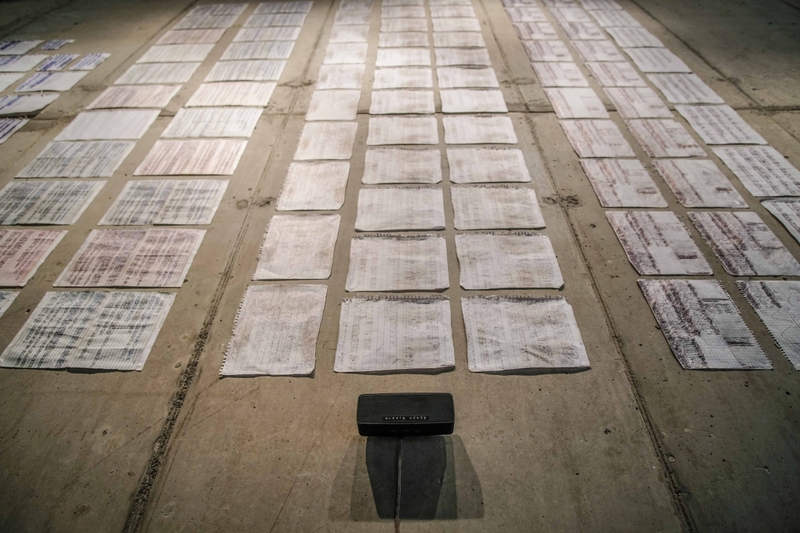 This project is a way to preserve the sonic memory of an endangered occupation. 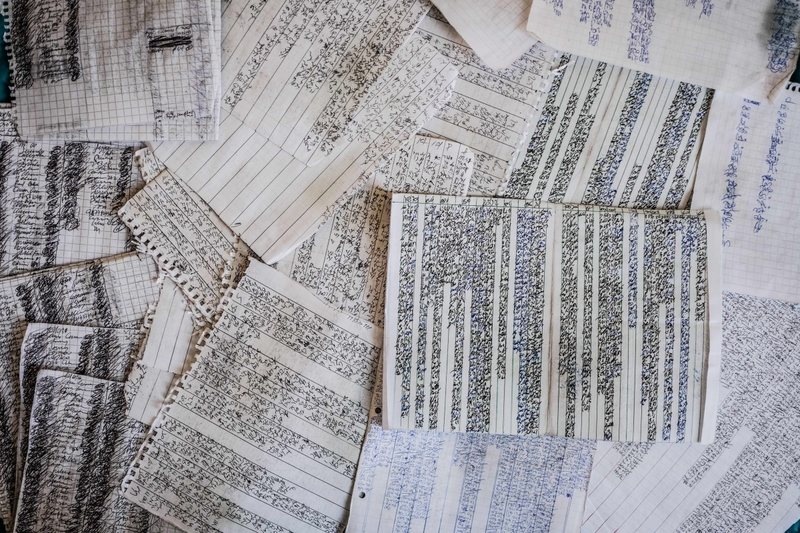 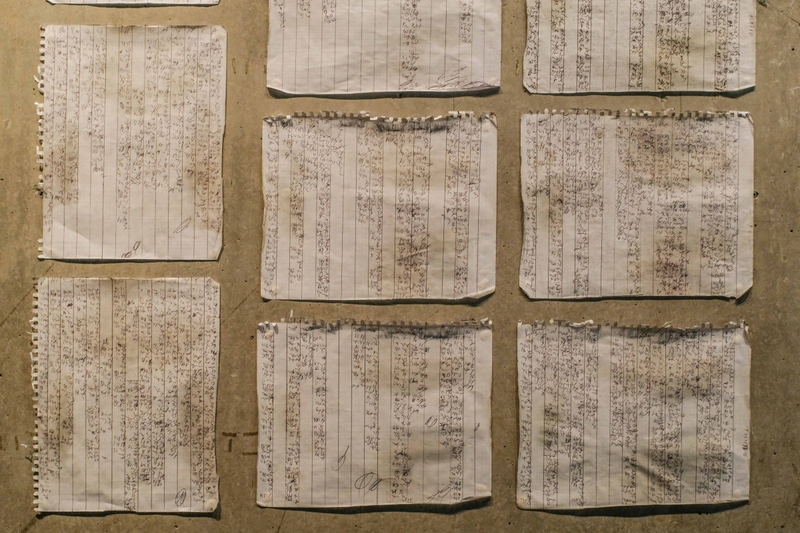 This collaborative work is a research around this occupation, based on interviews, video and photo documentation, sound recording and the collecting of their notebooks. 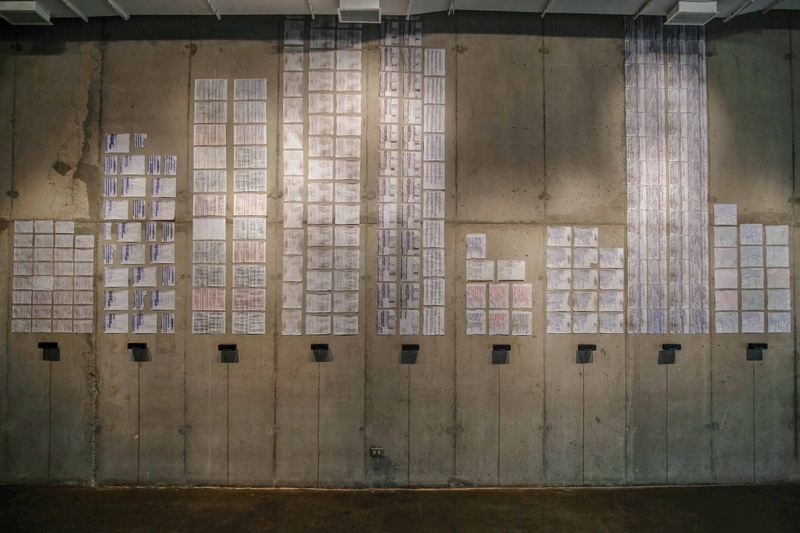 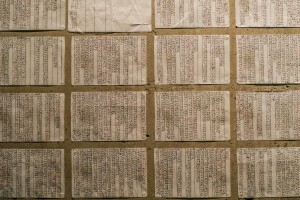 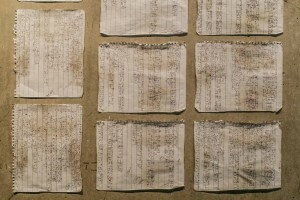 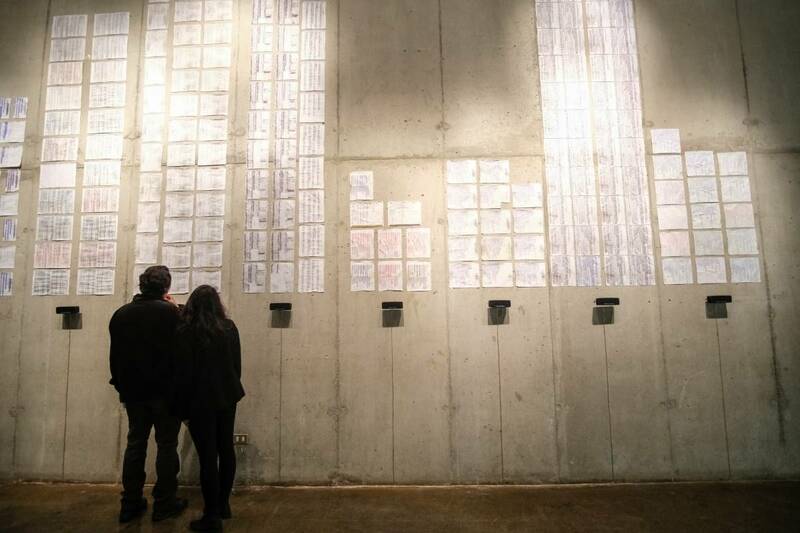 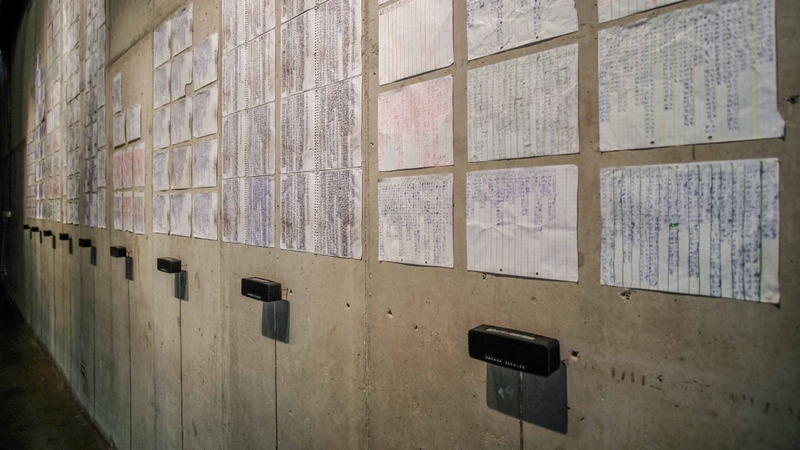 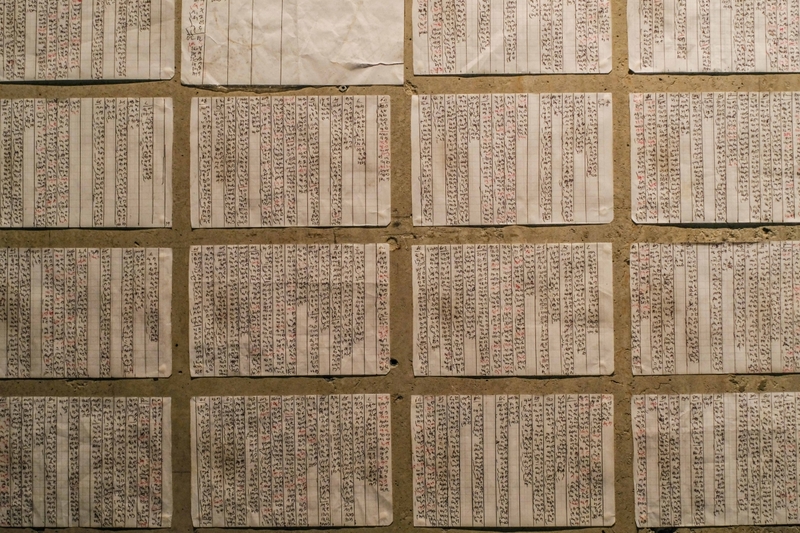 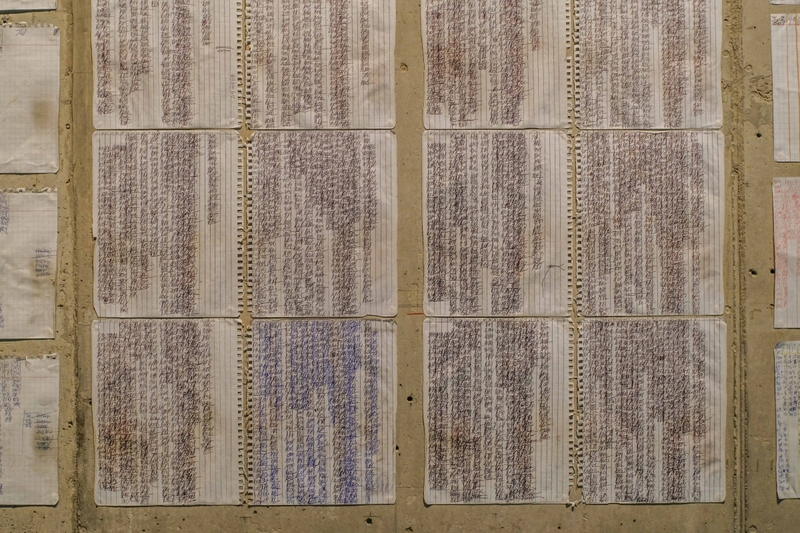 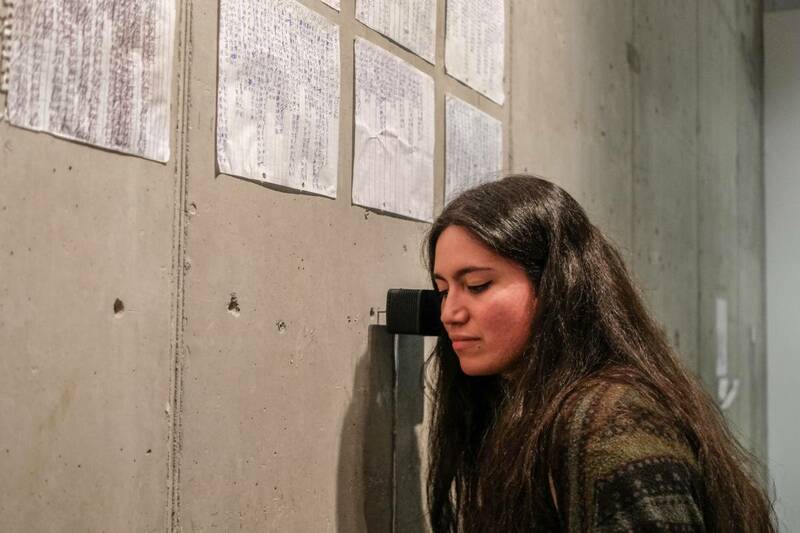 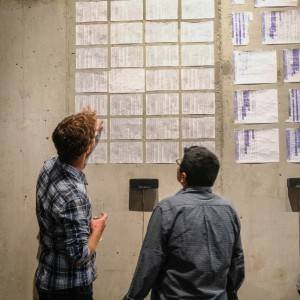 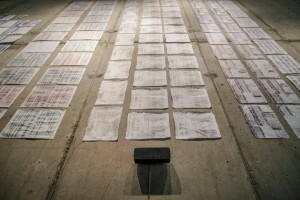 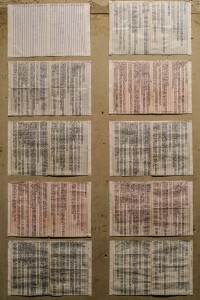 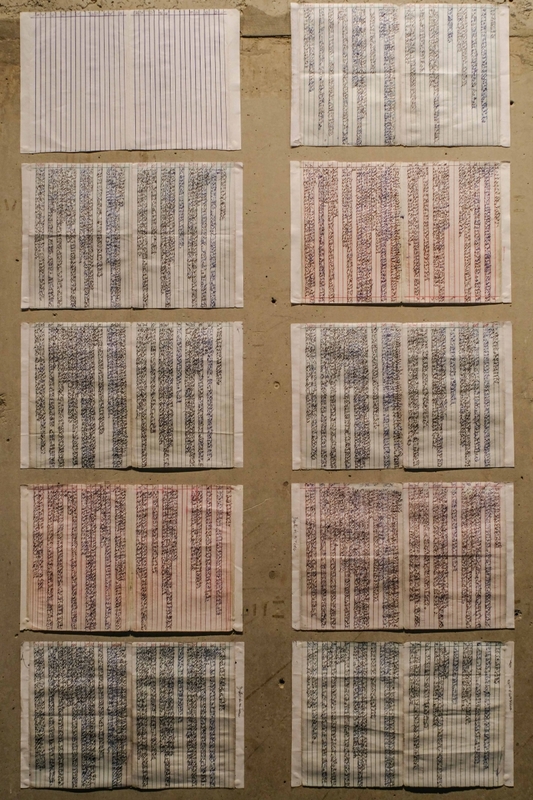 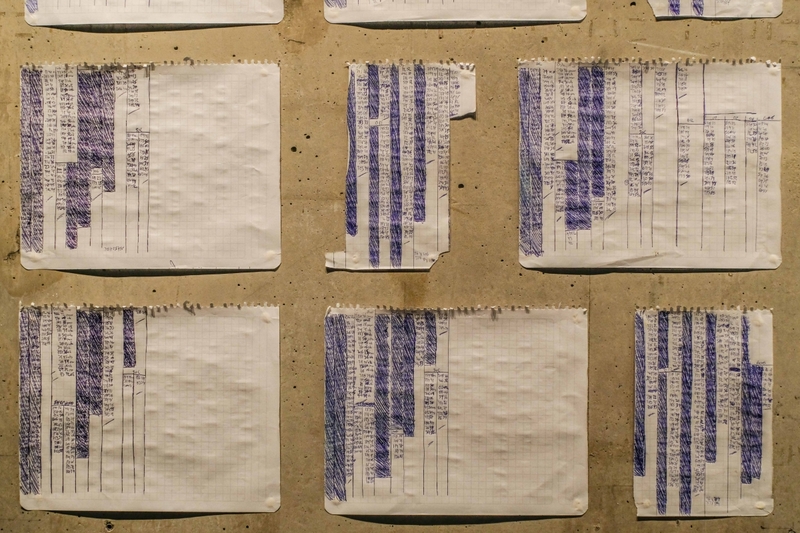 The output is a sound-visual installation displaying an accumulation of their notebooks, accompanied by the shouts of nine sapos. 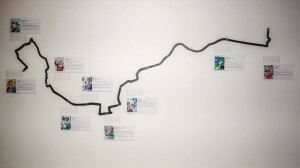 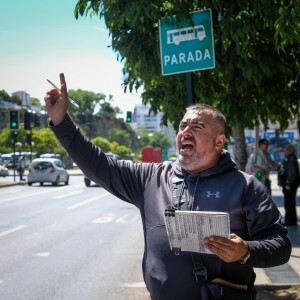 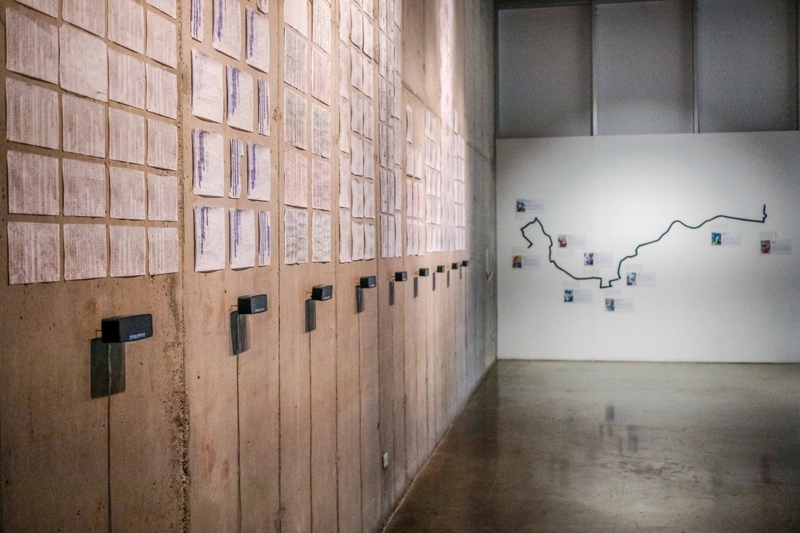 The work integrates the presence of the city dwellers by registering their voices saying out loud the bus line numbers, triggering an imaginary passenger flow. 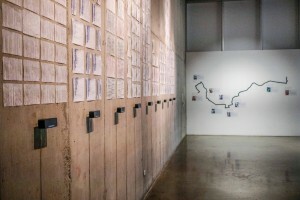 The installation is an attempt to reveal a collection of ephemeral information that loses its value in just a few minutes. The immaterial voices and the obsolete notations invite us to discover and to listen to those who most of the time we don’t notice. 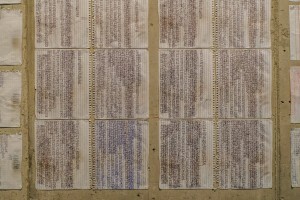 Paper sheets with notes, 9 channel sound installation, duration 1 hour. 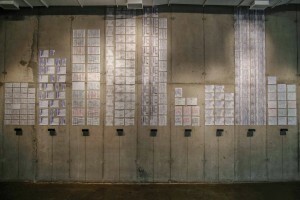 A project by Claudia Rojo and Félix Blume. In collaboration with Nora Lillo, and “bus’ sapos” from Valparaíso and Viña del Mar : Juan García, Carlos González, Enrique Ochoa, Alexis Pérez, Antonio Petit, Aaron Gula, Juan Bernal, Andrés Ciudad and Roxana Morales. 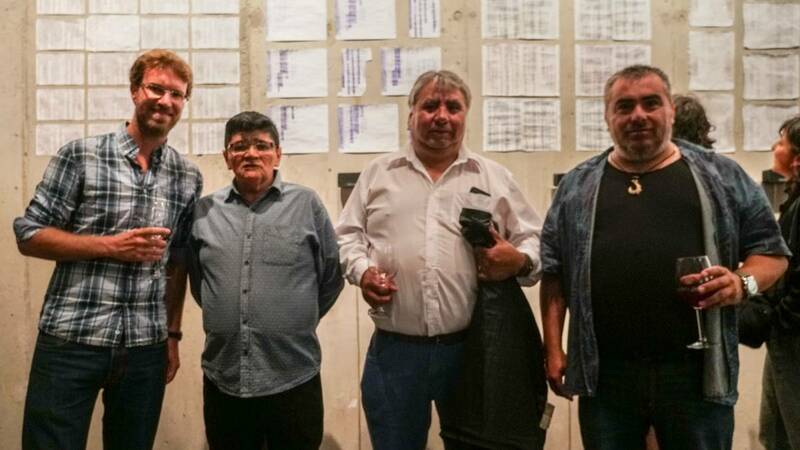 With the voices of “La Casa de los Peces” and Tsonami team. Exhibition from December 6, 2018 to January 6, 2019 as part of Festival Tsonami Arte Sonoro, Sala Laboratorio del Parque Cultural de Valparaíso. 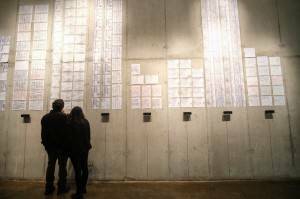 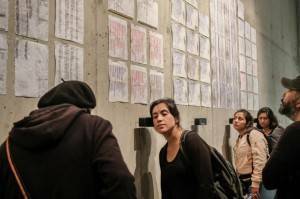 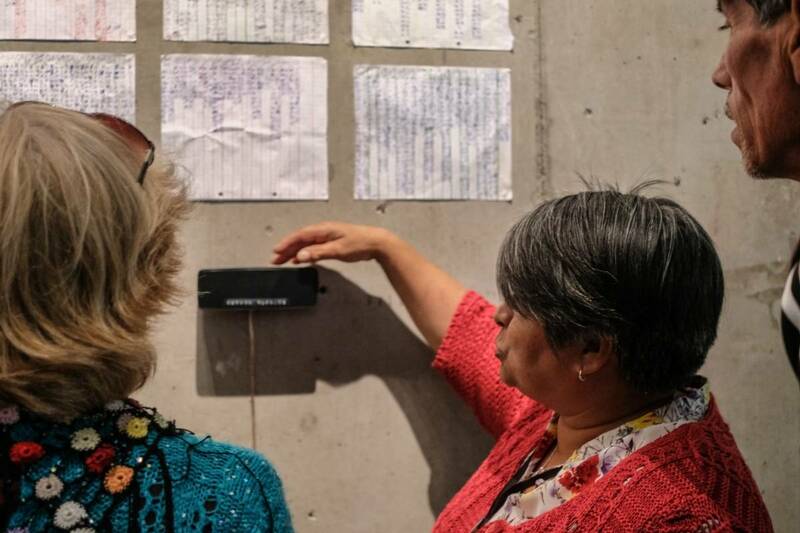 En paralelo a la exposición se realizó una acción a partir de la traducción de las anotaciones de los “sapos” a modo de partituras. 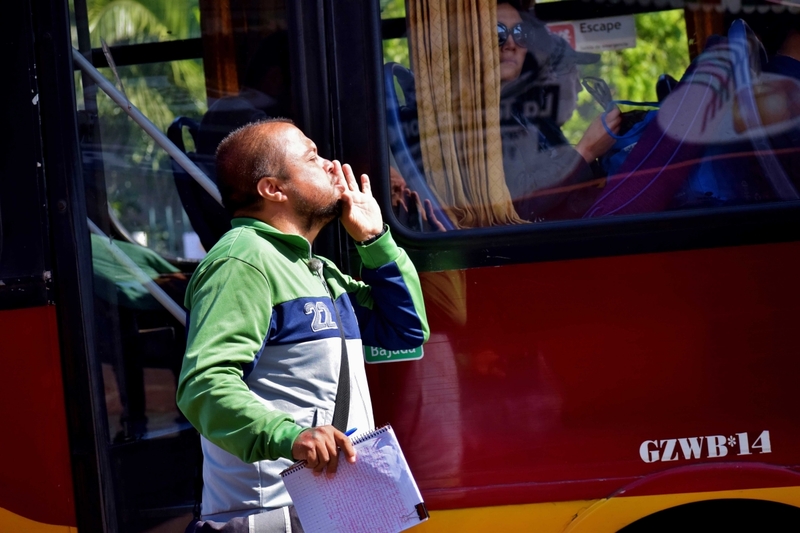 Fueron interpretadas por músicos a bordo de una micro del transporte público. 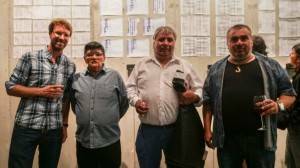 En colaboración con Lucas Arias, Martin Dupré, Benjamin Godoy y Yerko Aguilera. Pictures by Claudia Rojo, Sara Lana and Félix Blume. Thanks to: Fernando Godoy, Isabella Galaz, Francisca Mayorga, Camila Garrido, Alejandro Da Silva, Esteban Agosin, Pablo Saavedra, Inti Gallardo, Sara Lana, Claudia Dupré, Cristian Vidal, Ana Medina and Erick Meyenberg. Download PDF of the project “Sapo” here (in Spanish only).